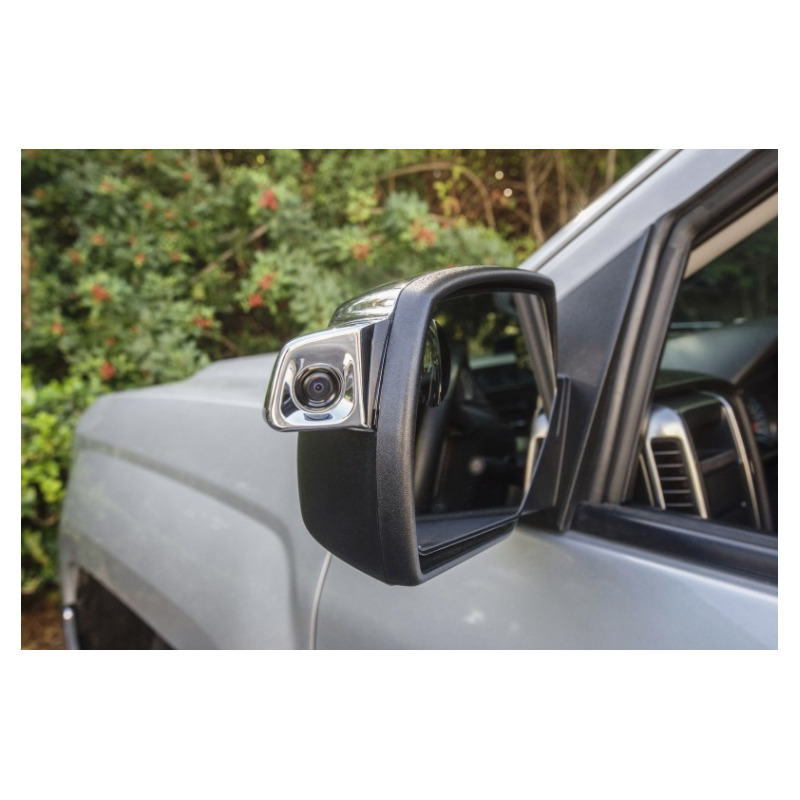 Whether reversing, driving or parking, this fully integrated, multi-camera solution gives visibility into common vehicle blind spot areas. 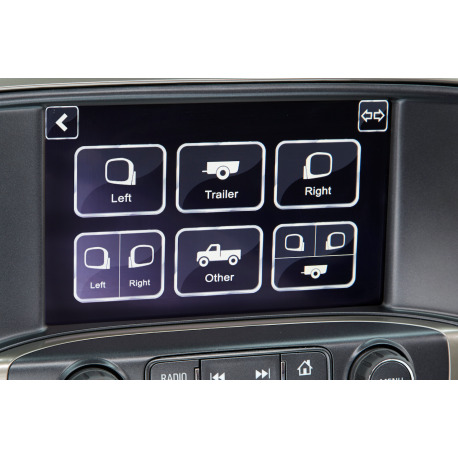 Built with larger vehicles in mind, the two camera system, with optional cameras to personalize the experience, and customized user interface, integrates seamlessly into the vehicle’s factory 7" infotainment screen. 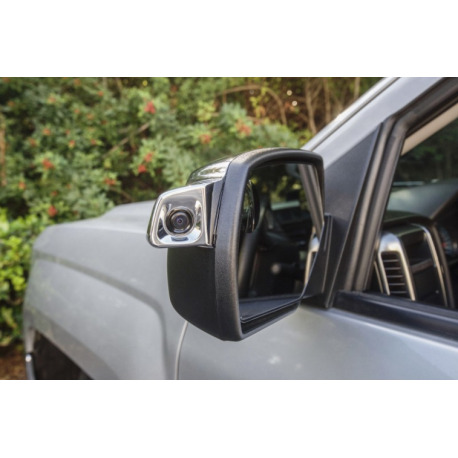 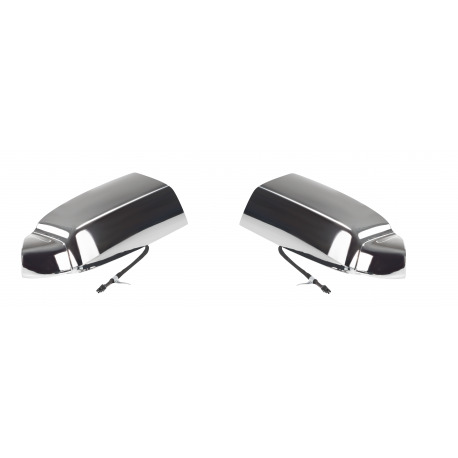 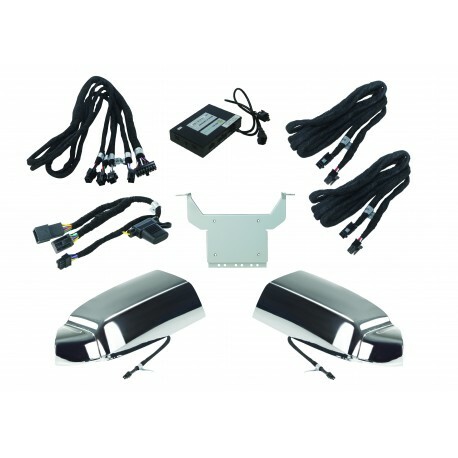 System includes two Stealth Side View Mirror Cameras designed to discreetly mount to the truck’s exterior mirrors. 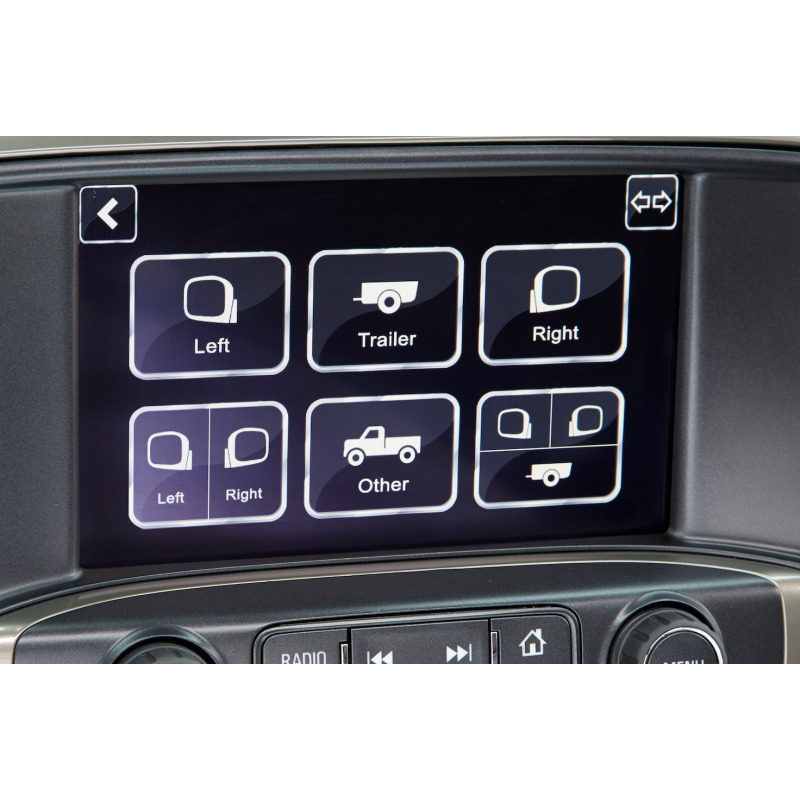 Utilizing six screen modes, smart technology enables camera activation based on driver behavior, using left and right turn signals and placing the truck in reverse. 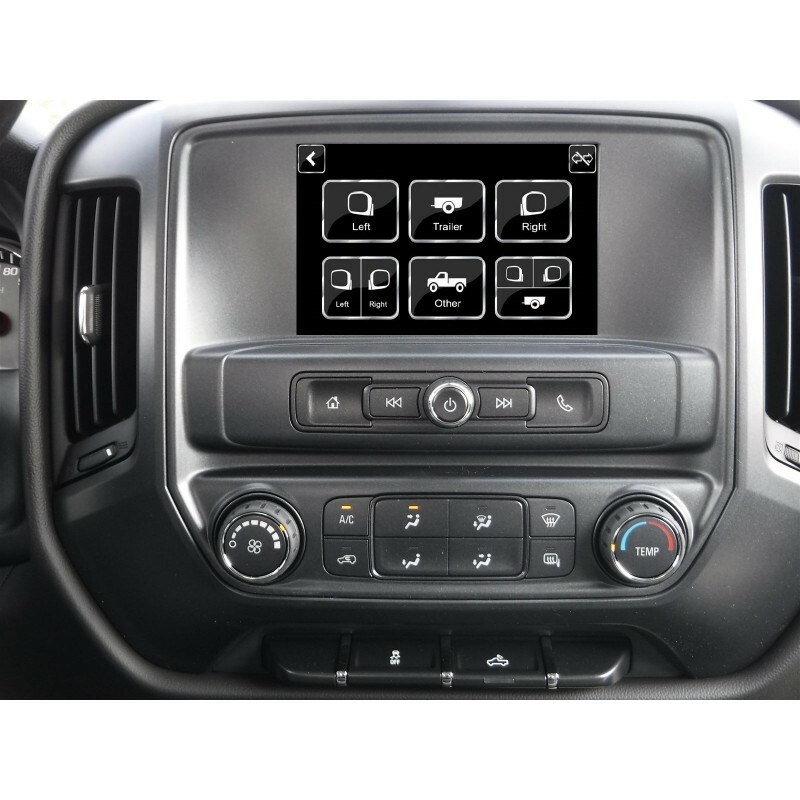 System alternatively allows for manual activation by the driver.